The Sephra Belgian Waffle Maker is a tried and tested method of baking great waffles – every time. With it’s automatic timer & thermostat with audible alarm which tells you when your waffle is baked, it is easy to use and requires no training. Suitable for breakfast buffet use with customers using as a self serve option. Simply provide cups of mix for customers to pour in to the baker, close, flip and the Sephra Belgian Waffle Maker will beep when the waffle is ready. The 180 degree left/right turning of the baking plates allows for optimal distribution of the dough. The Sephra Belgian Waffle Maker features easy to use coated plates, so the waffles won’t stick to the surface and can be easily removed once baked. Suitable for use in restaurants, cafes, buffets and hotel breakfast service etc. Sephra provide hotels, cafes, restaurants and kiosks with Commercial Waffle Makers, available on free to loan agreement if sufficient volumes of ‘Just Add Water’ Waffle Mix are purchased on an on-going basis. 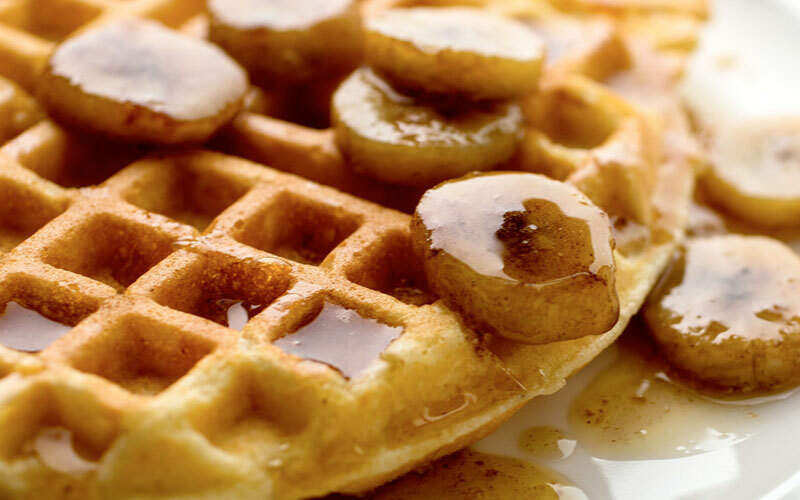 Waffles offer a fantastic profit margin for any catering business, as well as providing their customers with delicious low cost desserts. Sephra’s ‘Just Add Water’ Waffle Mix comes in convenient 3Kg bags, or 4 x 3Kg boxes, and can be easily prepared to order – therefore wastage is almost non-existent. Please can you send your enquiry regarding Waffle Machines to info@cfw.co.uk.